﻿I often have clients ask me what to wear for a photo session. Wear/bring clothing you feel good in and bring more than you think you will need. A variety of colors and styles is best. Try to avoid clothes with writing and obvious logos, as they tend to be distracting. 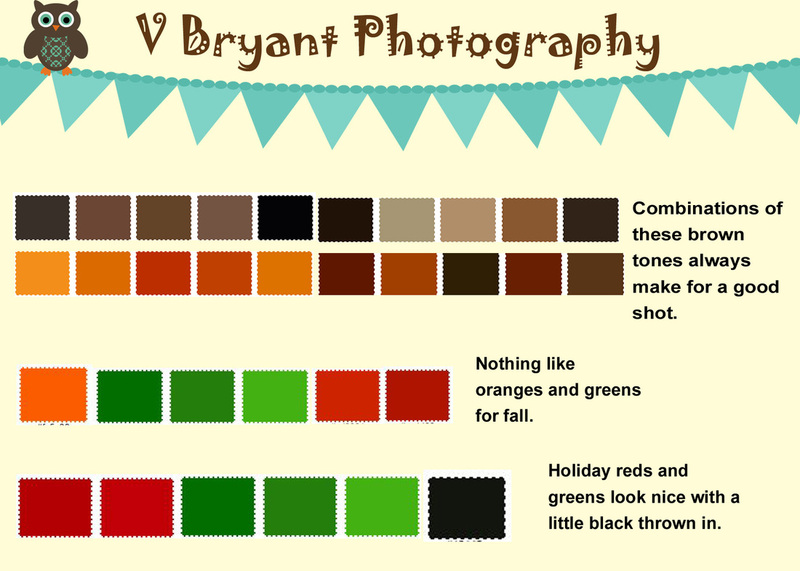 I have included a chart of color combinations that really look good in photos. You don't have to necessarily have everyone wear the same color, but combinations of colors really look great in a picture. 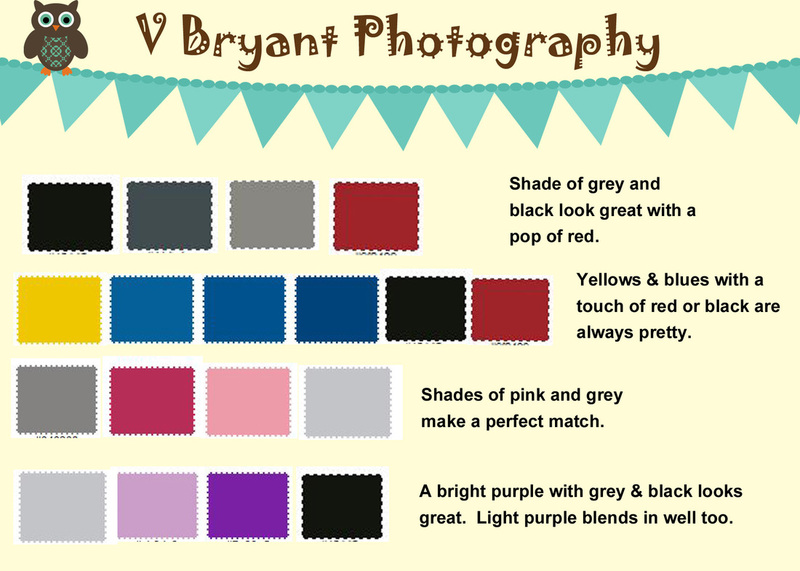 Follow Valicia Bryant's board What to Wear for Family Pictures on Pinterest. Jeans look great with anything. Don't be afraid of bold colors. work and add a pop to the picture.